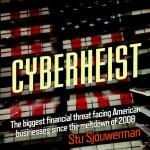 From the back cover: Not since the markets melted down, and the recession sank its icy hooks into the business climate in 2008, has American business faced a threat as serious as the current cybercrime scene. Small to medium enterprises have been hard-hit in particular, amounting to tens of millions of dollars being stolen out of their bank accounts. This book is meant to educate you about the dangers of conducting business online. In particular, it covers phishing, a particular type of social engineering attack delivered by email or over the Internet.